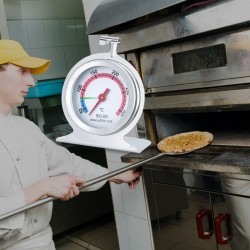 Oven thermometers. 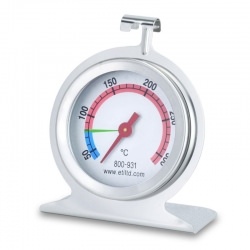 ETI oven thermometers will ensure that food is properly cooked. 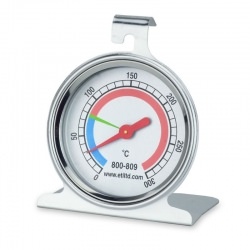 A good oven thermometer will allow your food to be cooked right through and safe to eat. 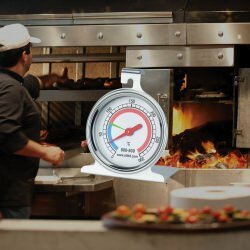 Using an oven timer or cooking timer will assist your cooking also. 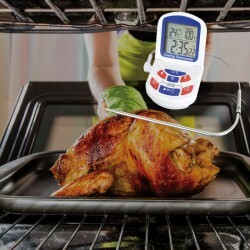 oven thermometers There are 6 products.